When during the 11th century the great Pandita Atisha was traveling through Tibet he passed by the present site of Sakya Monastery and had a vision there of nine Tibetan syllables upon the ground. From this vision Atisha predicted that at Sakya there would be incarnated seven embodiments of Manjusri, the Bodhisattva of Wisdom , one embodiment of Avalokitesvara, the Bodhisattva of Compassion and one of Vajrapani, the Bodhisattva of Dharma Activity. 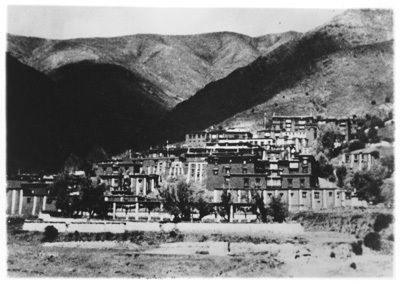 Thirty-three years after Atisha’s visit Khon Konchog Gyalpo, leader of the ancient and illustrious Khon family founded at Sakya (meaning white earth in Tibetan) a monastery, which would later become one of the greatest centers of Vajrayana Buddhism in all of Tibet. It was also during this time that a second major transmission of Vajrayana teachings came to Tibet and Khon Konchog Gyalpo’s son, Sachen Kunga Nyingpo was a major recipient of these teachings. From the great translator Drogmi Lotsawa and the Siddha Chodar, Sachen received the profound teaching of the Lam Drey (the Path and the Fruit) and the Hevajra Tantra. These teachings were from then on to become the main and most precious teachings of the Sakya. The Lam Drey and the Hevajra Tantra were originally given directly to the Mahasiddha Virupa by the primordial Buddha, Dorjechang through his consort Vajra Nairatmya. They were then passed down from Virupa to a succession of teachers until they were brought to Tibet in the 11th century by Drogmi Lotsawa at a time when the previous older transmission of the Dharma, after years of persecution and neglect, was in need of new life and a more pure expression. 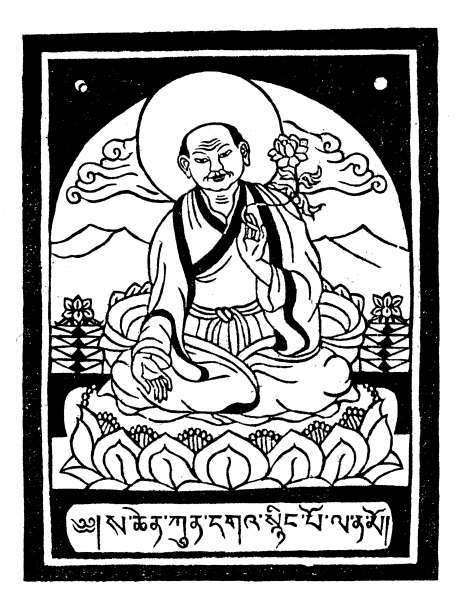 From Sachen Kunga Nyingbo’s time forward the teachings of Sakya Monastery flourished and spread far and wide throughout Tibet, China and Mongolia. A succession of great teachers, as Atisha predicted, came after Sachen and they enhanced and continued his work. This was accomplished by such great lamas as Sonam Tsemo, Drakpa Gyaltshan, Sakya Pandita and Chogyal Phagpa. These lamas and Sachen Kunga Nyingma constitute the five great teachers of Sakya. In time the leaders of Sakya, due to the high esteem in which they were held , were authorized by the Mongols to act as the rulers of Tibet. This spared Tibet the distruction of a Mongol invasion. During this time Sakya was remarkably tolerant of the other Tibetan schools of Vajrayana Buddhism and furthermore were able to convince their Mongol overlords to be more humane in their actions toward the people they ruled in Tibet and China. Today the great, profound and most sacred teachings and practices of the Sakya School are sustained by His Holiness Sakya Trizen and his two eminent sons Dungse Ratna Vajra and Dunse Jnana Vajra and as well by His Eminence Sakya Dagchen Rimpoche and Sakya Trizin’s sister Jetsun Kushok Chimey Luding. In 1429 the great Sakya master Ngorchen Kunga Zangpo founded Ngor Ewam Choden monastery. 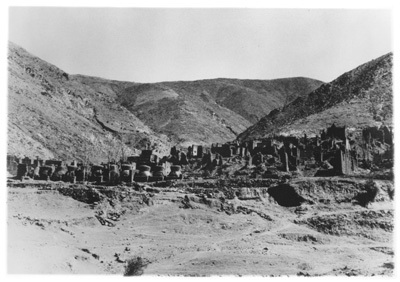 This monastery near Shigatse became a major seat for the Lam Drey teachings. Every year they were given there and hundreds of pilgrims came from all over Tibet to receive them. This continued until the distruction of Ngor monastery in the 1960’s. It is at Ngor that our lama, Kunga Gyurme, Ngor Tartse Rinpoche, resided. is one of them. 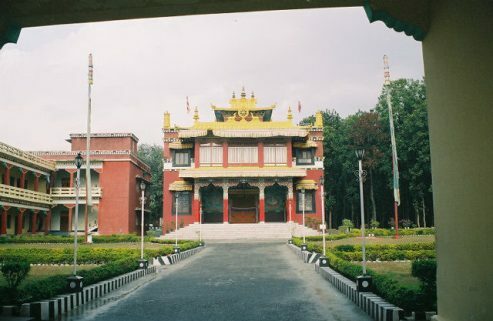 Since the distruction of Ngor Monastery in the 1960’s the ancient practices and venerable teachings of Ngor Ewam Choden are now continued and preserved by such notable lamas as the Most Venerable Ludhing Khenchen Rimpoche at the New Ngor Monastery located in North India.